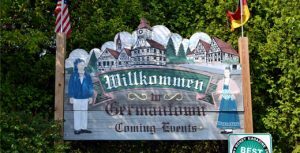 Germantown WI, is rich in the Germanic History of the settlers into the area, and yet offers all the modern conveniences of living, with nearby grocery shops, coffee houses, restaurants, garden centers & craft & hobby stores. Beautiful parks, a great school system, and a vibrant business park makes Germantown a great place for your NextHome! In 2007, Money Magazine ranked Germantown the 30th most appealing place to live in the United States! Have a look at the available Germantown homes below, and give the real estate agents at NextHome Lake Country a call.